Root rot can be caused by a range of factors, including various types of bacteria, fungi, algae, and parasitic oomycetes. These organisms may act on the plant in different ways, but the outcome is usually the same: slimy or mushy roots that twist together, impeding healthy plant development. In addition to bacteriological causes, root rot may occur as a result of environmental factors. Stagnant water is a prime concern. Plants that sit in old, stale water may become more readily susceptible to unwelcome organisms. Heat is an issue too, as warm water becomes an inviting medium for bacterial growth. Light leaking into the reservoir likewise creates a hospitable environment for undesirable microbes. Bubbles can make a difference too. Without adequate oxygen in the water, and without enough agitation to keep that oxygen moving, your reservoir can become a breeding ground for unwanted guests. Agitation can activate root rot as well. Young roots need time to develop a protective coating, and too much movement early on can weaken their defenses. Finally, decaying matter in the tank can be an issue. Bits of leaves are an inviting place for bacteria to nestle and spawn. Because root rot begins underground, it can be easy to miss the early signs. It makes sense to check the roots frequently, looking for signs that they are off-color, soft, or watery. As root rot takes over, leaves will be unable to get enough oxygen. A plant will look over- or under-watered, with leaves that are droopy and sick-looking. There’s a risk not just to the single plant but to any other plant that shares the growing environment. Root rot can spread and take down an entire grow if not carefully managed. Left untreated, root rot can do serious damage. On the upside, there are a number of easily implemented remedies available. Manage temperature, keeping the water in your reservoir at around 72 degrees. A remote monitoring system can help with this. On-site sensors track environmental conditions, and smartphone apps allow the grower to make adjustments on the fly, without having to be present. Once root rot takes hold, remediation generally takes two forms. 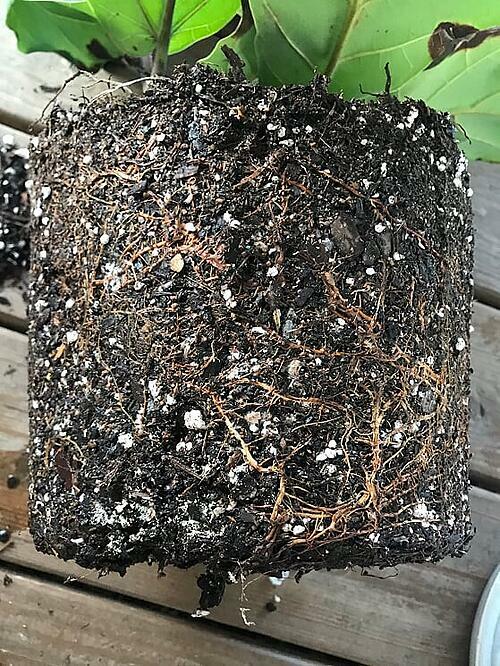 A grower may treat the plant roots directly and/or change the plant’s environment to inhibit further problems from emerging. Treatment generally involves adding beneficial bacteria to the root system. Some products, for instance, may introduce a specific type of bacteria called Bacillus amyloliquefaciens, which helps combat root ailments. A number of products take the good-bacteria approach, and some may be more or less effective depending on the specific conditions within a given grow environment. A bit of experimentation may be required to find the right fix for your specific need. It may also help to enhance the level of dissolved oxygen in the water tank. Air pumps and bubblers should be selected based on the specific size and configuration of the growing environment. Here, again, remote monitoring and app-based management can enable the grower to make ongoing adjustments in response to environmental need. Finally, it makes sense to shut down any light leaks. Check the tank carefully for light intrusion and use electrical or reflective tape to block it out. Dark, light-proof tubing offers another way to protect water from light exposure. Root rot is a serious problem and can devastate a grow if left unchecked. By taking a proactive stance, and by implementing technology to remotely observe and manage environmental conditions, a professional grower can stay ahead of the curve and keep root rot in check, ensuring a strong and healthy harvest.